Business Aviation growth in Eastern Europe is proving encouraging in the Balkan countries. After a year marked by the Ukrainian crisis and Western sanctions on Russia, Eastern Europe is slowly getting back on it’s feet with economies such as those in Poland and the Baltics starting to see growth rates that outstrip their Western European counterparts. As the IMF reported recently, much of Central, Eastern, and Southeastern Europe is growing at a healthy pace, while Russia and other CIS economies are facing economic challenges. The region as a whole is expected to return to positive growth next year. Overall, activity in the region is set to contract by 0.6 per cent in 2015 and expand by 1.3 per cent in 2016. But what about Business Aviation? Well if recent developments in the region are anything to go by, it seems that the private jet charter sector is doing everything it can to capitalize on the momentum. Indeed, even in 2014, in spite of the political crisis, Business Aviation and private jet charter sales were steady according to a recent report in the Aviation Times, 213 aircraft sales transactions took place. if 2015 figures continue to follow this trend the estimated number of transactions could grow 5% on a year-to-year basis. Indeed, so far in 2015, 67 new aircraft have been bought by Eastern European operators while 65 used aircraft have been sold to owners outside Eastern Europe, therefore the region currently has a net gain of 2 new aircraft. One company achieving considerable success in the Baltics is FBO Riga, which has recorded significant growth in demand for its services after the launch of a new Business Aviation center that consists of an aircraft hangar and boutique terminal at Riga International Airport (RIX). In October 2015, the total number of flights handled by the company has more than doubled while the numbers of business passengers climbed by 60 per cent compared to company’s results in the year-ago period. 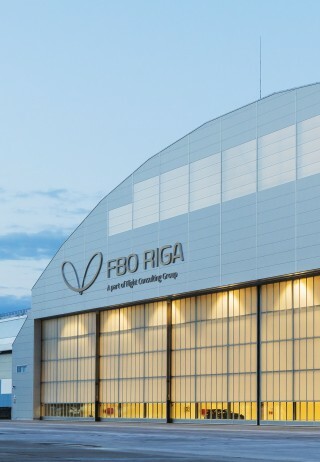 “We are glad that our customers have highly estimated the capabilities of the new FBO Riga business aviation center. The first results speak for themselves – in less than two months after the launch of the new FBO facility we have climbed to the volumes of 2010-2011 both in the number of handled flights and passengers, and we do not intend to stop here. Today we are in negotiations with business operators and jet owners offering them flexible and beneficial solutions that we develop individually according to the needs and objectives of every single customer”, said Roman Starkov, co-owner of FBO Riga.